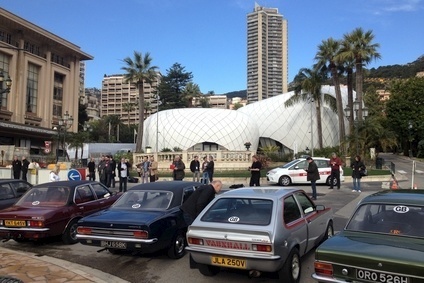 This was the scene in Monaco yesterday morning as a group of UK journalists set out on a drive to Geneva from Monaco in some old and new Vauxhall cars. I took a drive in the late 1970s' vintage Vauxhall Chevette 2300HS, the grey hatchback in the picture. Fun, but you had to work the steering wheel and gearbox/clutch in a way that made you realise just how pampered we are as drivers these days. It's not just about the driving. There has also been a very good opportunity to hear from GM execs about how things are going in the UK and Europe. More on that later. Today we wind our way from Grenoble to Geneva and tomorrow is Geneva Show press day, so look out for our coverage from the show. As ever, we have a handy and concise guide to the world premier vehicles and concepts on show.